You can apply the brakes if you have been cruising the Internet searching for auto insurance as a Sylvania, Ohio resident. We have been building a reputation for excellence in this area for right around three generations, and we greatly value the many relationships we have established. When you choose Beck Insurance Agency, you will receive an uncommon level of service from the first point of contact onward. Sylvania is a very special Lucas County city with a rich historical tradition, so there are a number of notable buildings in town. Residents can enjoy the beautiful parks that dot the landscape, and there is a smaller town feel that is unmistakable. At the same time, everything that the larger metropolitan area has to offer is nearby. We know the city well, and we have provided car insurance for many families over the years. If you are in Silica, Mitchaw, Centennial, City Center, Lourdes College, or any other section of Sylvania, Ohio an auto insurance resource you can trust will always be just a phone call away. When you go shopping for any product, you typically have the ability to compare similar items and their features. Of course, the price will be a big factor as well. The idea is to find maximum value whenever you are purchasing a product or engaging a service provider. Strangely enough, this nearly universal principle does not always apply to car insurance. There are agencies that can only obtain coverage through a single insurer. You either take it, or leave it. People don’t have unlimited time to spend looking for auto insurance, so in many instances, they simply settle for what is being offered. We go in the opposite direction. 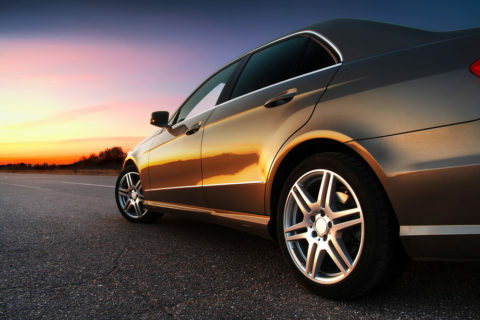 Our agency represents several different well-known, reliable companies that provide auto insurance. Sylvania, Ohio clients are given multiple quotes, and you can closely compare the policy details. Ultimately, you can make an informed choice and go forward with the knowledge that you are getting a great deal on your car insurance. Best Car Insurance With Beck Insurance Agency! For car insurance in Sylvania, Ohio, you can’t go wrong with Beck Insurance Agency, and we offer commercial auto insurance along with our individual coverage. If you are ready to make the ideal connection, we can be reached by phone at 419-446-2777 or 877-446-2325. There is also a contact form on this website you can fill out if you would like to reach out electronically.